Summary: The appeal of the picture had stemmed from Ashton Kutcher’s spot on performance and the inspirational message of “thinking different.” After skipping this title on the first week of release, I had grown more curious about the Jobsian mythology, after watching the documentaries Steve Jobs: One Last Thing (2011) and Steve Jobs: The Lost Interview (2012) . 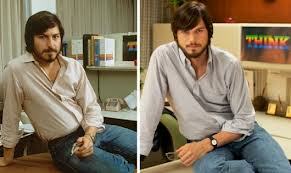 Capturing the mercurial powder keg of this visionary, Kutcher had believably pivoted from calmness to madness and back. For Ashton Kutcher, his role had been transformational from comedian to actor. 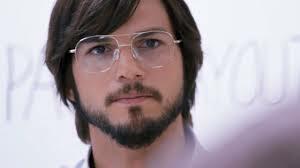 Outside of the film’s cheap production values from style, set and film stock, his ability to sell through Steve Jobs made the movie worthwhile. Highlighting his genius, Job’s ethos had been marketing a great idea to finished product. His ability to direct talent has been transcendent among many of his contemporaries. Jobs’s relentless ability to see past the present and non-believers, had set him apart but, at a personal price. At one point, Steve Wozniak had eloquently stated “The product is about you… It must be very lonely in there.” Those small moments had taken a backseat to pop culture history of the Apple I, Macintosh and iMac. With every opportunity, Jobs had always seemed ready to apply his business pragmatism. Those visions had been rooted in ability to stay hungry and stay foolish. Fitting Kutcher had ended the film with the following, “Those crazy enough to want to change the world, are the ones that do.” When you finish watching this dramatization, you might had thought you can too. This entry was posted in Film, Technology and tagged Apple Computer dramatization, Steve Jobs Film. Bookmark the permalink.